Greater Portland Bible Church is a group of diverse people from all walks of life who have agreed to center their lives on Jesus. Once a week we get together to express the unity we have in Jesus through singing, praying, hearing and responding to how God’s story intersects our own. We meet at 10:30am every Sunday morning. Whether you consider yourself a follower of Jesus or not, you are welcome to join us as we gather to worship God, continually learning what it means to be God’s people and let Him change us into a community that reflects the heart of God by our actions…for the benefit of the world. 9:15am is our class hour where everyone in our community, from infants on up, meet to connect, learn and grow. This is also when our youth meet in the Student Center. A rotating selection of elective and ongoing classes are available for the adult community and children have the opportunity to learn and respond to God's story in an age appropriate way for both the 9:15am and 10:30am hours. Listen to the worship song set for Sunday's gathering. On Friday, April 19, at 7:00pm we will gather to mark Christ’s crucifixion and death on the cross. Childcare is unavailable. Easter will be a morning full of celebration! We’ll have a delicious breakfast at 9:15am and an Easter egg hunt for kids through 5th grade at 9:45am. 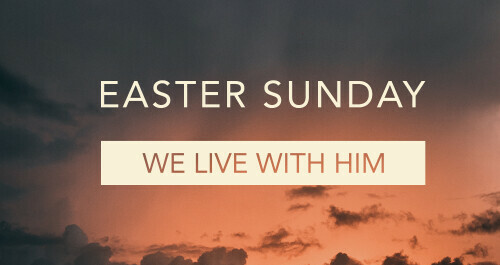 At 10:30am we’ll gather in the auditorium to celebrate our risen Savior in worship. Children’s classes through preschool will be held at 10:30am; elementary and up will attend worship with their families. No 9:15am classes for children, youth, or adults. In ancient Jewish culture, all children and adults participated in seven festivals every year where they were able to enjoy the broader community. Four times a year all children and youth programs are closed so that families have an opportunity to worship together in the larger community. Please join us for the next Community Sunday. There are no 9:15am classes for children on Community Sundays.